Christmas, Christmas time is here…I just realized this morning when I was singing that old chipmunks song, that I didn’t hear those cute little chipmunks singing on the radio one time this year. My second thought was, “I bet my kids don’t even know who the chipmunks are.” They didn’t know what JibJab was when I suggested we do a JibJab dance on Christmas Eve either. I guess I’m really telling my age. Ugh! Anyway, back to Christmas, Christmas time is here…and gone. Some of you really efficient people may have already packed up the tree, ornaments, lights and other decorations, but I’m not one of those people. I usually de-decorate my tree on the 26th and re-decorate it for my daughter’s birthday on Jan. 2nd. However, she has her own house now and isn’t going to be here that day, so I packed up those ornaments and took it down the 27th. As I was taking the ornaments off the tree, I started thinking that one day, those kids of mine would probably take the ornaments they had received every year and use them on their own family tree. So, as I took each one down, my intentions were to sort by child, in order of the year they received them and photograph them as a keepsake. It didn’t take me long to realize that I didn’t have the patience for all that organization. So, I just sorted them by child and took pics! Better than nothing, right? So, now it was time to take down the rest of the decorations. I won’t bore you with the details, I’m sure you have boring details of your own about doing this. But, I will tell you about a few new things I did this year to help protect my fragile decorations and to make finding those precious ornament boxes easier next year. First, I have rediscovered shrink wrap! I wrapped many pallets loaded with cartons of diecast cars using this stuff back in the 90’s, but had not thought about it for years until I saw this idea on Pinterest about shrink wrapping your Christmas tree for storage. Check out this cool tutorial at www.Epbot.com. I bought shrink wrap for the tree, but haven’t gotten that far yet. However, I have used it for several other storage solutions. Wrap up fragile decorations in tissue paper and then shrink wrap for extra protection. If you use cardboard boxes and put them in plastic storage totes, fill the cardboard box, then shrink wrap to protect from bugs and dust. We all know those storage totes are not completely airtight. Wrap your Christmas frames in tissue paper and shrink wrap to protect and keep secure. Note to young parents from old parent: Always date the frames if the year is not shown as part of the design. I PROMISE, after 10-15 years, you will not remember which pictures came from which years unless you do this. Alas, the reason I photographed all of my yearly pics before packing this year is to give me time to determine the correct date before unpacking them next year. You better believe, I will add that date as soon as they come out of the box. Lol. Shrink wrap the stack of Christmas cards you received this year so you can protect them until you are ready for that project you have planned to put all of them together from past years. 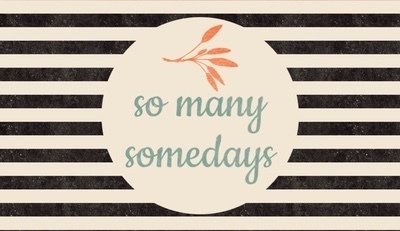 Oh, “so many somedays”! Second, take a picture of the inside of your storage tote before you seal it up! Years ago this would have been a pain, but with cell phones and printers in our homes, BOOM! Snap, snap, print, and there you go. I put mine into a 3 ring plastic sleeves like we used in our “Lifesaving Notebook” Time Saving, Life Saving Thanksgiving Notebook, back in November. Slip a piece of ribbon or string through the top hole and tie on your tote! Now, you can easily see what is in the bin without having to lift the lids and dig. WOW! I wish I had done this in past years. Can you imagine how convenient it would be if we did this with all of our storage bins, not just Christmas? The last big idea I have for storing your Christmas treasures is to buy these plastic bags at IKEA. This particular pack has two sizes, but you can also buy them individually. They are an absolute necessity at my house. You can use these for so many different things like, packing cosmetics for a trip, storing sheets & pillow cases, (yes, they will fit), and packing away children’s clothing. They are sturdy, very large, double locking & inexpensive! For Christmas, I used them to pack anything that wasn’t so fragile that it had to be shrink wrapped, anything with lots of pieces that need to stay together, books, cookie cutters and linens to help them stay clean and dry. The possibilities for storage are endless with these babies! If you were using regular clear zip bags, which you can if you don’t have an IKEA close by, you would probably go through a whole box and many of your things would not fit. I believe that I used about 5 bags and I had a lot of decorations scattered around the house. Well, I’ve helped you procrastinate taking down those decorations long enough. Hopefully, I have inspired you to try these storage tips so your Christmas packing will be a little easier this year and finding those decorations and unpacking next Christmas will be much easier. HAPPY PACKING AND HAPPY NEW YEAR! Can you come on over to my house? You know my method of “hoarding” I mean storing!’ I have good intentions. Also, my children’s ornaments have made there way out of my house and onto the kids trees! It is a good feeling when you can help them start their own collection on their own tree! Bittersweet, but good! Haha! My tree would be empty without the ornaments you have given the kids over the years. Lol.